The summer is flying, and July is here! 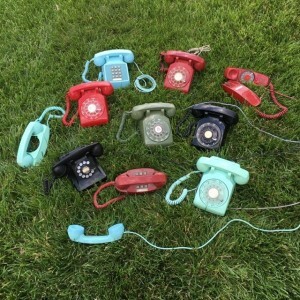 We’ve been busy stocking up – new items include some phabulous phones that will be coming with us to the July 17th Tour-Ed Mine Fleatique, more clothing in our Etsy shop, and lots more housewares in our space at E.N. 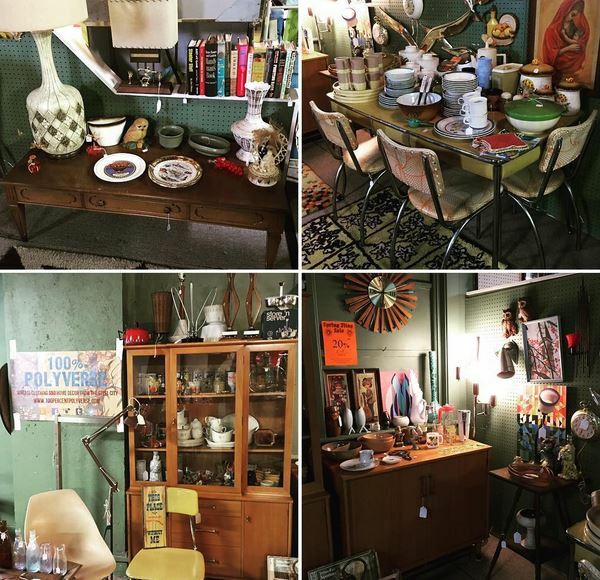 Miller Antique Mall in Verona! We want to thank everybody who has bought furniture from us lately – we’re actually on the lookout for kitchen tables, since we can’t seem to keep them in stock! When we’re not out picking and buying, we’re out working on our 1966 Serro Scotty and our 1972 Shasta 1400 travel trailers – there’s always something they need from us! Also, this year Arlo is managing two bee hives that are doing wonderfully, but need lots of attention. In our downtime, we’ve been hanging out at the 90 year old pool down the street. This is our favorite time of year – estate sales every Saturday, flea markets every Sunday, fresh vegetables on the table, and sunscreen in my handbag. Come see us in space 122 at the Tour-Ed Mine Fleatique in Tarentum on the third Sunday of every month, all summer. Pray for sun, and say hi when you’re there! We hope you’re having a healthy and happy Summer season! 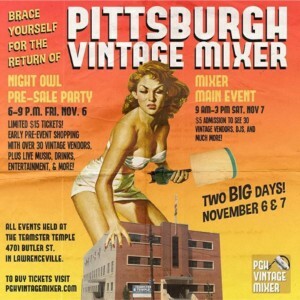 Spring Fling Sale and Pittsburgh Vintage Mixer! 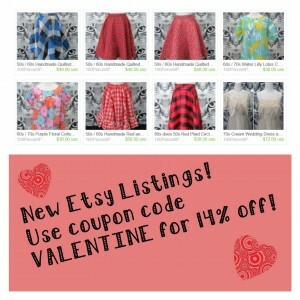 We have been busy all winter picking out the best goodies to bring to our space at E.N. Miller Antique Mall in Verona and now that Spring is finally here, we’re ready for some shows too! Visit space E-11 on the third floor of Miller’s for a wide selection of midcentury housewares, from the 1950s – 1970s. We’ve got LOTS of kitchen goods – flour canisters, dish sets, drinkware, and more! We’ve also got several new end tables, including some 1960s Mersman pieces, that will be great for your retro home. Not in the market for furniture? We’ve got pottery, lamps, clocks, paintings, knick-knacks, and any other smalls your vintage-loving heart might desire. Not convinced yet? The whole mall is on sale throughout the month of April, with 20% off everything in our booth not marked firm. Come down and get your Spring Fling on! 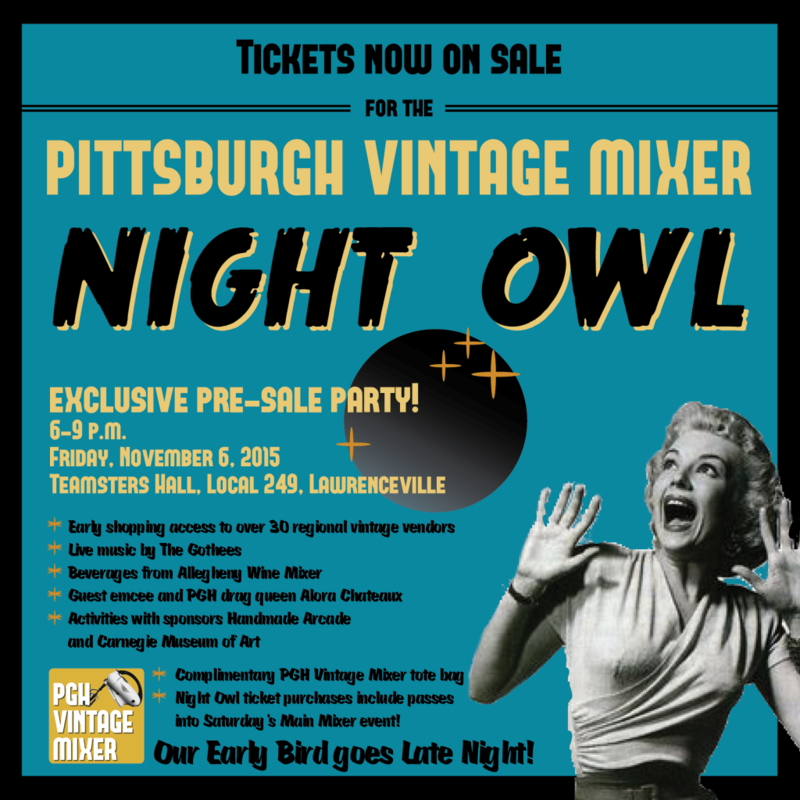 And don’t forget to come see us on May 13 and 14 at the Pittsburgh Vintage Mixer at the Teamster’s Hall down in Lawrenceville. 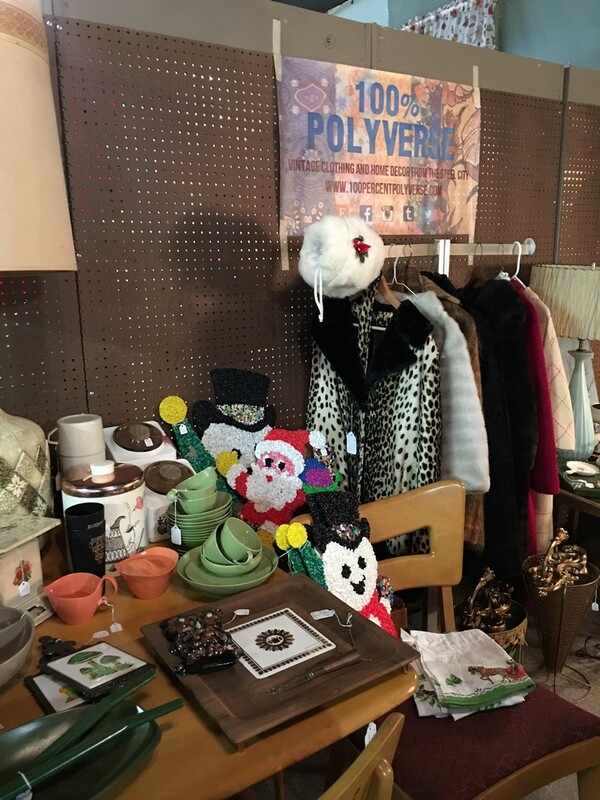 We’re bring lots of fabulous stuff you won’t see anywhere else – including costume jewelry, ladies hats and gloves, vintage Kodak and Polaroid cameras and 8mm video cameras, sunglasses, housewares, typewriters, and more. We can’t wait – it’s always a great time! Crafts and Drafts at East End Brewing! We hope to see you there – click here for more info! We wish you all a happy new year! We had a great 2015, thanks to all your support, and we’re looking forward to an even more fantastic 2016. As always, we’ve got our space at E.N. Miller Antique Mall in Verona full to the brim, we’ve got hundreds of new items to photograph for our Etsy shop, and we’re already stocked for spring and summer events. We’ll keep this space updated with what we’re up to. Until then, cheers, and here’s to a happy and healthy 2016 for you all! 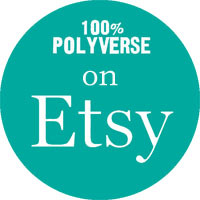 20% Off Our Etsy Shop Through the End of the Year! 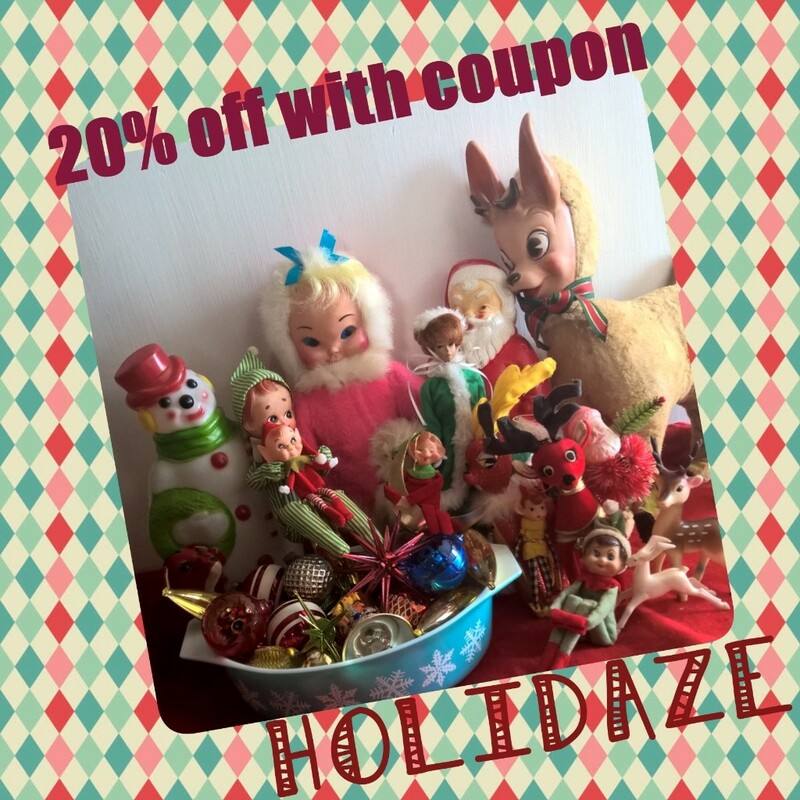 Our gift to you – 20% off everything in our Etsy shop through December 31st, 2015 when you use coupon code HOLIDAZE! We hope you all get out there and support #SmallBusinessSaturday! Some of our stock at E.N. Miller Antique Mall! 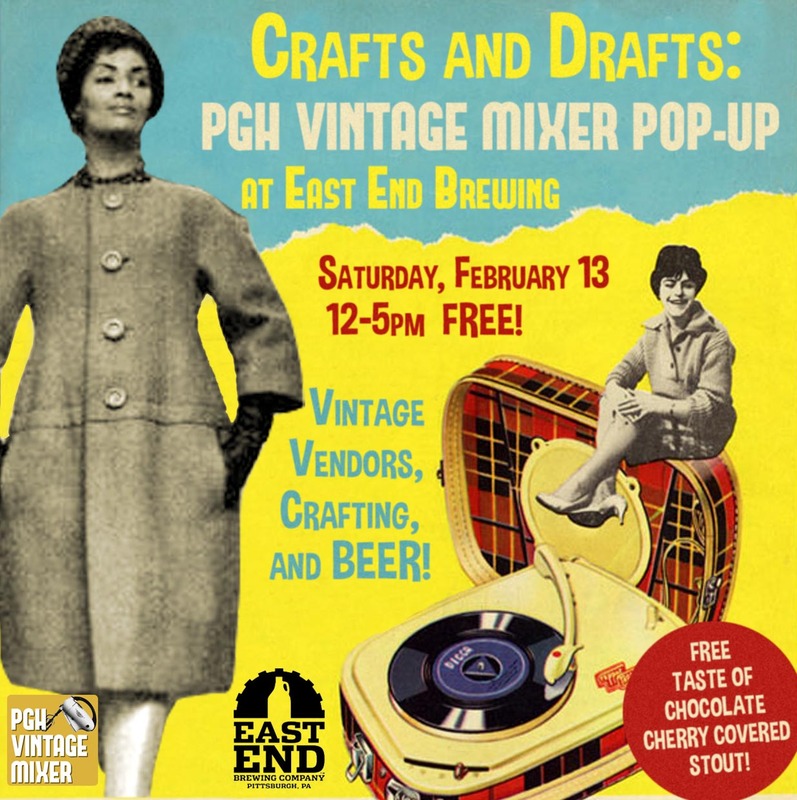 We want to give a huge thank you to all who came out to see us during the Pittsburgh Vintage Mixer – we had a blast and really enjoyed the sense of community that comes with getting all sorts of vintage loving folks under one roof! We had a great time during the 2015 show year – but as the holiday season creeps up on us, we’re ready to stay home. Since the Pittsburgh Vintage Mixer was our last show this year, we’ve brought lots of our remaining stock to E.N. Miller Antique Mall in Verona – so if you saw something at the Mixer you were thinking about but didn’t buy, come down to Miller’s and see if it’s still around! Of course, we’ve still got lots of stuff in our Etsy shop, too – clothing, shoes, accessories, jewelry, and some housewares. We’re going to spend the winter focusing on getting our huge clothing overstock up in our Etsy shop – and of course we’re still buying – so look forward to lots of new goodies both down at the mall and online! We want to thank everyone again for supporting our small business – we love the local vintage scene in the ‘Burgh, and are happy to be buying and selling with you! 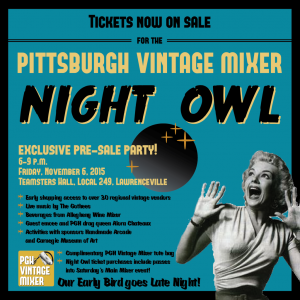 Pittsburgh Vintage Mixer Fall 2015! 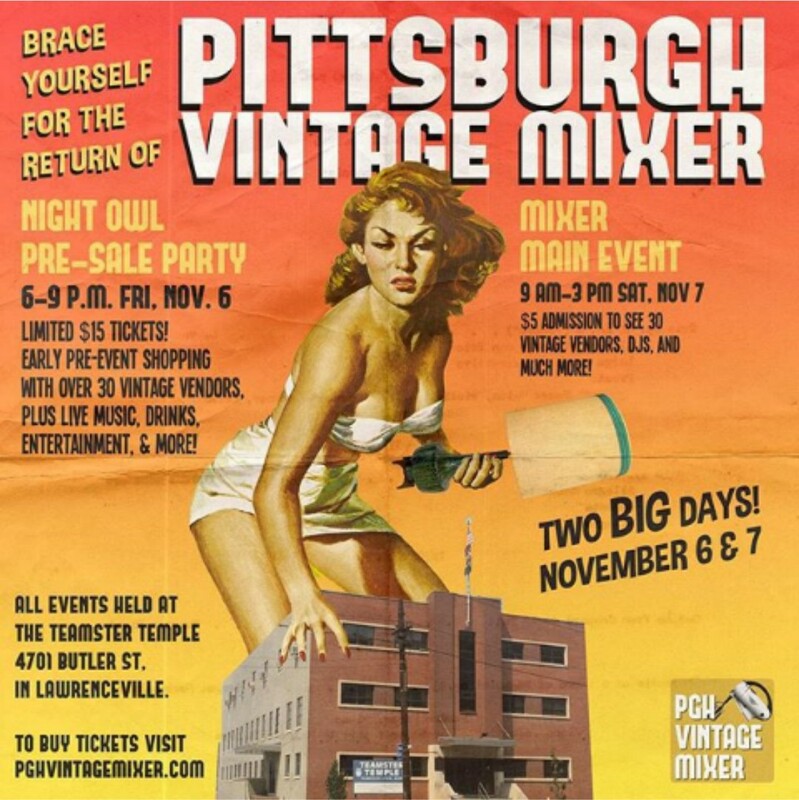 We’re happy to announce we’ll be back at the Teamsters Hall in Lawrenceville for the Fall 2015 Pittsburgh Vintage Mixer! More info to come – yinz better mark your calendars! New Stock at E.N. Miller Antique Mall! Lane tables, lamps, seating – we’ve got what you need! We’ve dropped off some new stock at our space in E.N. Miller Antique Mall, Verona PA! 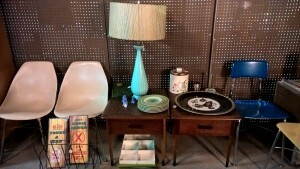 We’ve added midcentury Lane tables, new lamps, and housewares. Soon we’ll be rearranging our space and adding even more goodies – we’re getting ready for the holiday season and will be bringing lots of fun holiday sparkle to add to your seasonal decor. We know it’s still September – but we’re looking ahead! We’ve got a couple of shows this fall and whatever is left will be brought to E.N. Miller – so stop by, do some shopping, and help us make room for more!